Very sad. 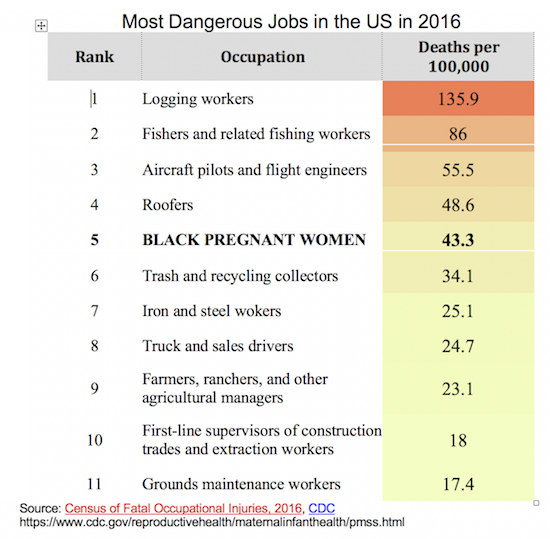 Being a black pregnant women is the fifth most dangerous "job" in the United States. We must prevent maternal mortality.